People often talk about mold, but they usually do so in very general terms. It’s one of those things that you know of but don’t really know anything about. You may even be able to spot mold when you see it, but determining which kind and whether it’s dangerous or not is harder. Usually, these things become easier to understand and identify the more you know. It’s like the old saying goes: know your enemy. For homeowners, mold is definitely the enemy – costing America millions each year in remediation costs. Fortunately for you, the leading mold, water, and bio and trauma remediation company for the Dallas/Fort Worth Metroplex – RestoPros – knows the enemy all too well. Today, our experts are going to teach you the science of mold. Fungi has been on earth for a very long time. It’s ancient, in fact. Fungi first diverged from other life somewhere around 1.5 billion years ago, with symbiotic fungi taking off roughly a billion years later. Because fungi are not biomineral (organisms that produce minerals), it does do not appear in the fossil record until the Paleoproterozoic period, which was about 2,400 million years ago. Fungi held a stable but relatively unimpressive foothold on Earth for the next 2,335 million years. However, following the massive extinction of the Cretaceous-Tertiary which took place 65 million years ago, fungi basically took over the world. When the dinosaurs and plants from that event were killed off, it created the opening and conditions for a massive colonization of Earth by fungi. This is refereed as the Great Fungi Bloom, and it’s responsible for people’s mold problems today. Mold spores travel in very interesting ways. The spores are released and are carried by the wind, people, or pets to a new location. Mold spores are released in the greatest abundance when dried out. As the mold dies, spores are released into the air. Under UV lights, the spores look a lot like a cloud of dust. However, because mold spores are relatively heavy, they are not carried too far from the original colony. If you find mold in your home, the best thing you can do to prevent it from spreading is not touch it. Call in a remediation company like RestoPros, so it can be safely removed from the home. How Mold Affects Your Health. Mold affects our health in much the same manner as when it spreads. It’s not the mold itself that poses a threat to human health; it’s the spores that are the problem. When mold spores are released, we breathe them into our bodies. Generally, this just causes coughing, itchy eyes, and wheezing in people and isn’t too dangerous, though it is irritating. However, when people who have respiratory problems like asthma breathe in mold spores, it can cause an acute health risk – and in some cases – even death. That’s why it’s important to call in a professional mold remediation company if you discover a mold colony in your home. While we hope this information on the science of mold will give you a better understanding of the enemy, if you discover a mold problem, it’s best to call in an experienced professional. The fact is, proper mold removal may be too difficult and dangerous for the average homeowner. The CDC recommends calling a professional mold remediation company in most cases. 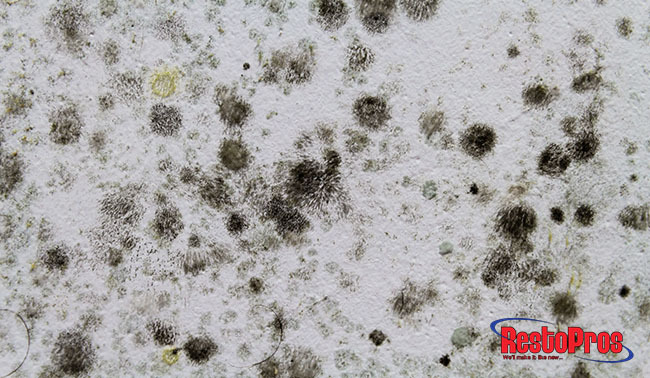 The mold remediation experts at RestoPros have a long-standing reputation for expertise, professionalism, and hard work. If you’re looking for a skilled and highly trained technician for mold testing, mold remediation, water damage restoration, or HVAC duct cleaning anywhere in the Dallas Metroplex, call us at (855) 58-RESTO (855-587-3786) to schedule your appointment today!